About » What Makes Us Different? 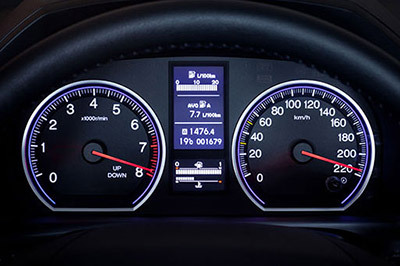 Specializing in "just out of warranty" vehicles and higher mileage vehicles. Whatever you drive, we are here for you! Step through our doors and the first thing you’ll hear is a friendly greeting. We’ll ask how you are and we’ll ask what brings you in. The Total Difference is that we’ll listen to your answer. From the moment you enter our Howell auto repair shop till the moment you drive away satisfied, everyone here takes the time to listen. Whether you’re bringing a vehicle to our Howell location for auto repair or general maintenance, you can expect quick and efficient service. We respect that each of our clients’ time is valuable! At Mazur's Total Automotive, expect to receive honest and upfront estimates on all Howell auto repair – with absolutely no high pressure sales tactics. Whether you’re a minivan-driving mom or an amateur stock car driver, expect to be treated with respect and fairness. Wait with us during the Howell auto repair process and enjoy our comfortable, quiet waiting area with free WiFi and complimentary coffee, snacks and beverages. 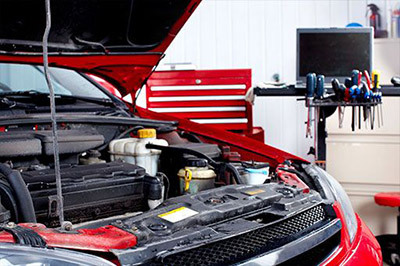 During the auto repair or maintenance process get a FREE 50-point inspection of the entire vehicle. We’re looking out for you – and your wallet! While many cars may be similar, one thing we know at Mazur's Total Automotive is that no two drivers are alike. That’s why we tailor all auto repair options you, your driving habits, and the needs of the particular vehicle. At Mazur's Total Automotive, we’re upfront and honest. You’ll pay for only the auto repair services you’ve agreed to – and the price you’ll see on your auto repair invoice will be the price in the estimate. You’ll drive away from our Howell auto repair shop fully satisfied. We guarantee it. We back up all our auto repair with the best warranty in the Howell area – 24 months / 24,000 miles.